Together with Mazdaspeed Motorsports, we hosted a very special panel discussion on going faster, faster! Our talented group of experts includes Karen Babb- Multi-time National Champion and SCCA Hall of Famer, Neal Tovsen-author behind ConeCoach.com and podium finisher at the SCCA Solo Nationals and Rachel Kerswill- Mazda Solo National Champ. Karen Babb began autocrossing in 1979 in a Mazda Rx-7. She first ran the SCCA Solo Nationals in 1980 and began designing local courses in early 1980's. She's a multi-time National Champion and Nationals Course designer and a current member of Course Approval Panel. She is also co-chair of the 2015 Tire Rack Solo Nationals. 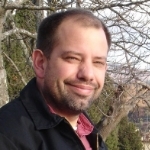 Neal Tovsen is the author behind ConeCoach.com and an instructor for SoloPro Driving Schools. 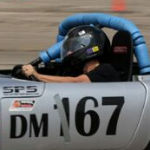 In addition to his own six podium finishes at the SCCA Solo Nationals, Neal enjoys working with other drivers and their cars to find more speed. 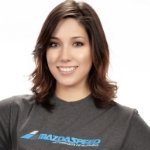 Rachel Kerswill is a SCCA Solo competitor with 7 years experience in Solo in a variety of vehicles. In 2014 she became the CSL National Champion and went undefeated in class in the 2014 Championship Tours. Rachel continues to compete at the regional and national level, taking home 1st in CSL at the 2015 San Diego Championship Tour. To find more great tips and tricks on how to improve your time behind the wheel, check out MAZDASPEED's weekly bulletin. Great articles on car and competitor preparation, racing tools and techniques, part spotlights and of course the cars and drivers behind the MAZDASPEED team. Get the inside scoop on upcoming webinars!